Richard Burnip regularly guides for London Walks. London on Film: 3 different walks, the City, the West End, and Westminster. Roffey’s Ramble: retraces the steps of a famous guided walk of 1910. 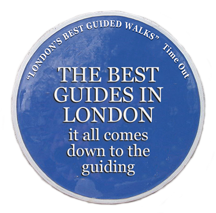 To book Richard for a guided walk, please call London Walks on 0207 624 3978.